Magic doesn’t belong to any one spiritual or religious path. Indeed, there are many different traditions of magic, from the healing work of curanderos in Latin America to the hoodoo charms of the Appalachians to the Egyptian magical practice of Heka. These and other traditions from around the world have been passed down over the centuries and are still very much in practice today. 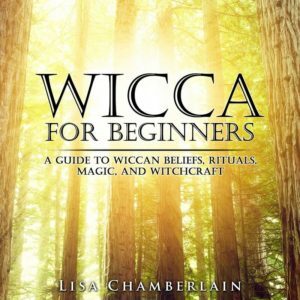 In the realm of Wicca, magical traditions tend to be rooted in the centuries-old practices of the folk healers of Europe as well as the ancient Hermetic philosophies rediscovered during the Renaissance. 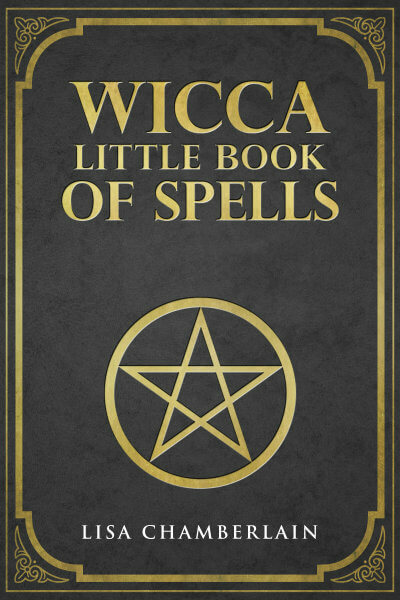 But while there are tried-and-true spells and methods that have been passed down over the generations, magic in Wicca is by no means a static art. New spells and new approaches to magical manifestation arise all the time, as those who are willing to practice and experiment find new ways of harnessing the natural energies that make up all of creation. Candle magic is an excellent starting point for anyone just beginning to explore spellwork. Simple, elegant and straightforward, basic candle spells can help you build and strengthen your “magical muscles.” Your magical request (also called the intention) is sent through the medium of the flame. As the candle burns, it disappears, leaving the material plane and joining the ethereal one, carrying with it the message of the intention. This physical example of transformation is particularly useful to beginning magicians, who can use it to help them visualize the manifestation process. Crystal magic is a delightful way to become acquainted with some of Nature’s most beautiful and mysterious creations. Though they may be classified as “inorganic,” crystals are nonetheless understood by many Witches and healers to be “alive,” as they impart healing energy to people, animals, and even plants. The power of crystals and other mineral stones is the same power inherent in other natural phenomena, such as the wind or a flowing river. They are conduits of energy, and since thought—or intention—is also energy, it can be harnessed and sent out into the Universe through the energy field of the crystals we choose to work with. Herbal magic is incredibly practical—in fact, much of it can be done with ingredients you likely already have in your kitchen. Herbs are also probably the most versatile when it comes to hands-on magic. You can use them to create your own magical crafts, such as spell jars, dream pillows, poppets, sachets and other charms. Some people like to create their own incense and oils with herbs, which adds even more magical power to their work. Indeed, the study and patient practice of herbal magic can prove to be the most rewarding form of the Craft a Witch can discover. Incense is an ancient ritual tool that draws on the aromatic powers of herbs, spices, oils, resins, and tree barks to create a sacred atmosphere and a state of mind conducive to communing with the spirit world. In addition to burning during formal Wiccan ritual, it’s often burned during spellwork, as the scented smoke can facilitate an ideal state of mind for working successful magic. Furthermore, most herbs, spices, barks, and roots have specific magical qualities, which can be matched with the purpose of the spellwork. Magical oils are a staple component of ritual and magical practice for many Wiccans, who use them to anoint their ritual tools, crystals, talismans and amulets, and even their own bodies. Essential oils are often used in the creation of incense, and are particularly excellent for use in candle magic and charm-making. Just about anything you want to do, magically speaking, can be enhanced by the use of oils—whether you’re using a single scent or a blend of three or more. Tarot cards and other divination tools (such as runes, crystal balls and scrying mirrors) are often part of a Witch’s magical practice. Of course, divination is a form of magic in its own right, but Tarot cards and runes in particular may be incorporated into spellwork as well. For example, the Moon card from a Tarot deck may be displayed on the altar whenever a Full Moon spell is underway. A prosperity spell may involve the King or Queen of Pentacles, or the always-fortunate Sun card. Some people even like to consult the Tarot before designing a spell, to get clearer on their intentions and how best to set them through the spell itself. Fluid as Wiccan magical practices may be, however, there is still the one main “rule” to keep in mind at all times: Harm None. Taken from the Wiccan rede, this simple phrase reminds us to be careful to examine our motives and intentions when choosing or creating a spell. Obviously we’re not coming from a very spiritual place if we’re wishing to work magic that would bring negative results to another person, period. But “harm none” also applies to any kind of manipulative magic, no matter how well-meaning we might be about it. This means we don’t work magic with the intention of affecting the feelings or behavior of anyone other than ourselves. We also don’t work magic for others without their explicit permission, and we never try to decide for others what their best interests are.